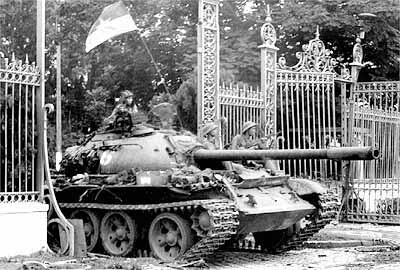 A North Vietnamese tank crashes through the gates of the Presidential Palace in Saigon on April 30, 1975. The taking of the palace marked the fall of the U.S.-backed south and the end to a decade of fighting. 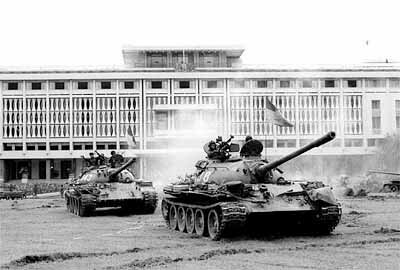 North Vietnamese tanks roll across the Presidential Palace grounds in Saigon on April 30, 1975. For more on The New York Times coverage of the fall of Saigon, see http://www.nytimes.com/library/world/asia/vietnam-war-archives.html.